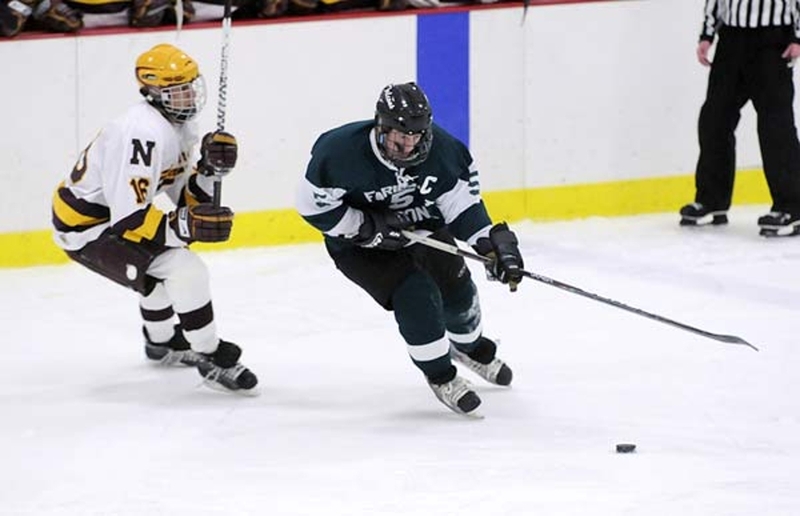 NORTHFIELD — Senior Bo Putrah scored 22 seconds into overtime and junior Sean Lipinski had four assists — one coming on the game-winning score — as the Faribault High School boys hockey team beat Northfield 5-4 on Tuesday. Putrah, who scored two goals in the game, took a pass from Lipinski and slipped the puck past Raiders goalie Nate Finger for the game-winner, lifting Faribault to a 7-2 record on the year. Sophomore defenseman Brandon Parker scored twice in the game, Garrett Gulsvig recorded a goal and George Richie and Nick Murray each recorded assists in the game.